The concept of digital transformation is being recognized across government as the key to streamlining processes and improving results. For local government authorities, digital transformation involves leveraging advanced data analytics to deliver more intuitive services and create smarter communities. Fundamental to this process is the technology and know-how to extract and manage actionable intelligence from big data. Looking at local government authorities around the world, you can see that GIS technology is increasingly being used as a key platform to do this. GIS works with Internet of Things (IoT) technology to map and analyze data from physical, connected devices—including smart devices, vehicles, cameras, sensors, and satellites—to reveal a real-time operating picture. According to a survey of executives published in 2017 by McKinsey & Company in “Taking the pulse of enterprise IoT,” although 92 percent think IoT technologies will generate a positive impact over the next three years, 54 percent report companies use 10 percent or less IoT data. GIS technology can boost this usage rate by translating IoT data into actionable insights. Using these insights to proactively improve service efficiency is the first major step in transforming conventional communities into truly smart cities. These insights can range from alerting law enforcement of a crime as it unfolds to intuitively managing traffic light signals to reduce road congestion. While the digital transformation of major metropolitan regions, such as Los Angeles, Dubai, and Singapore, is already well under way, for many local governments, challenges remain. According to “What is Holding Back the Digital Revolution?” a 2016 report by the Harvard Business Review in association with Genpact, only one-third of the executives in the study said they see significant results from digital transformation in their organizations. In both the private and public sectors, many decision-makers see digital transformation as a technology issue that will be undertaken by the IT department and don’t realize that the process must start in the boardroom. The key to a successful digital transformation lies in taking a broader strategic view that requires mobilizing the necessary digital technologies and securing organization-wide stakeholder buy-in. If you’re part of a local government that has a culture that is unprepared for or resistant to change, you may need to enlist expertise in the early stages to guide the organization through the digital transformation process. If a government leadership manages and implements change effectively, is willing to experiment, and can learn from mistakes, it will be at the forefront of success and see significant improvements in metrics such as customer satisfaction, profitability, and efficiency. 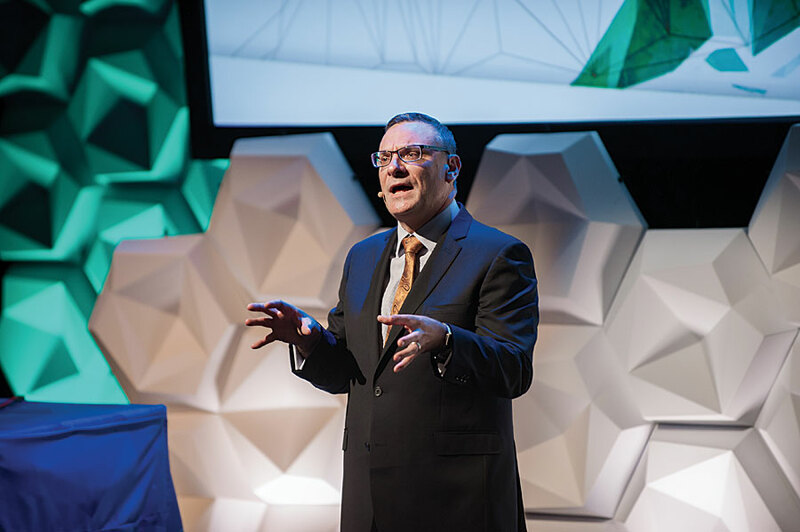 Brett Bundock’s passion for the science of GIS has led to a career that has spanned four continents and more than three decades. As the managing director of Esri Australia, Esri Singapore, Esri Indonesia, Esri Malaysia, and MapData Services, Bundock is regarded as one of the most influential contributors to the Asia Pacific region’s spatial industry. He holds a bachelor of arts degree in geography, cartography, and government administration, as well as a graduate diploma in mapping and surveying studies.